From June 1976 to March 1981, Russ and I lived in Madison, Wisconsin. 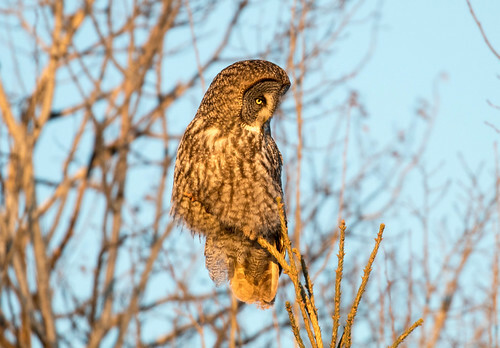 I’d spend a morning or sometimes a whole day, usually two or three times a month, on a field trip with Madison Audubon. 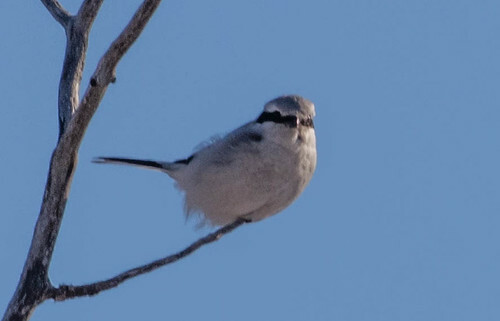 At first I was a participant, learning lots of great birding spots and tips on finding and identifying the expected and unexpected local birds. But as I grew more experienced and confident, I started leading some of the field trips, sharing all that information with others. Whether serving as the follower or the leader, those field trips were fun and rewarding. 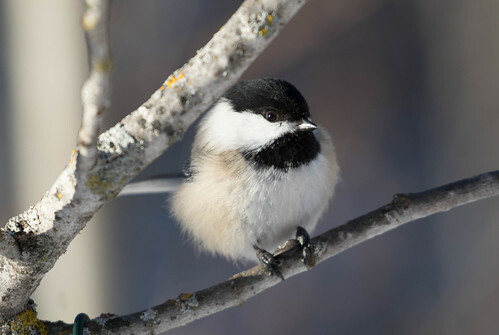 As I got to know other birders in Madison, a few of us started going out on our own two or three times a month, too. Our group included a high schooler, Tom, who had no driver’s license; me, a most reluctant driver; and three men who had cars and didn’t mind taking turns driving. I chipped in for gas, sat in the back seat, and deferred to the others in terms of where we went, due to my own concept of fairness because I never drove. When all five of us went, I’d sit in the middle of the backseat. I was young, spry, and skinny, but oddly enough, was still often enough the first to spot good birds as we drove along. Tom had fantastic eyes and ears, and even if his acquisitive optimism made him the most likely to jump to a quick conclusion that some ordinary bird was a rarity, that also kept us all on our toes and made us all more likely to tease out the real rarities out there, too. I don’t think any of us felt like the leader or teacher, and none of us felt like the follower or student, either. We were just a band of birding comrades having fun together. The conversations in the car between birding stops were as fun as the birding, whether someone was recounting interesting experiences or we were engaging in silly banter and repartee. It was lovely knowing that if a rare bird was in driving range or you had a hankering to get out and see what was around, you could count on a group of good friends to get out with. I’ve never found such an intimate band of birding buddies since we left Madison. 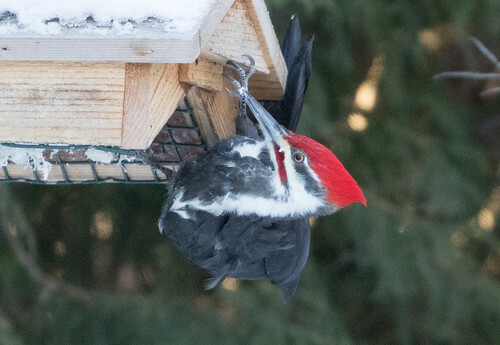 But yesterday I found myself in a rental truck with three other birders having exactly the kind of silly banter, eager focus on seeing and enjoying birds, and extraordinary birding experiences that I’d had back in Madison almost four decades ago. My friend Erik Bruhnke is the fall raptor counter at Cape May Observatory and travels around the country, and increasingly around the world, as a guide for Victor Emanuel Nature Tours. Erik also has his own personal guiding service, called Naturally Avian. 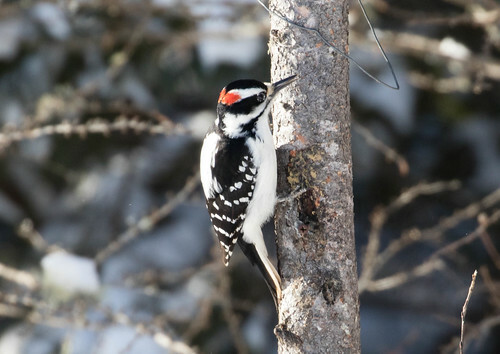 During winter and early summer, he does a lot of guiding in northern Minnesota. He’s such a good friend and pleasant person that he’s got a standing invitation to use our house as home base between his out-of-town guiding gigs. This week he was guiding two men, Steve and Tom, from South Carolina. Usually clients want a guide all to themselves, but on Thursday, for some unfathomable reason the three of them invited me to tag along. As a professional guide, Erik was serving as the leader, but both out-of-towners were excellent birders in their own right. Something about the mix clicked, and it felt as if I’d been transported back in space and time to Madison in the 70s. We wanted to be up in the Sax-Zim Bog by sunrise in hopes of seeing early-morning specialties. 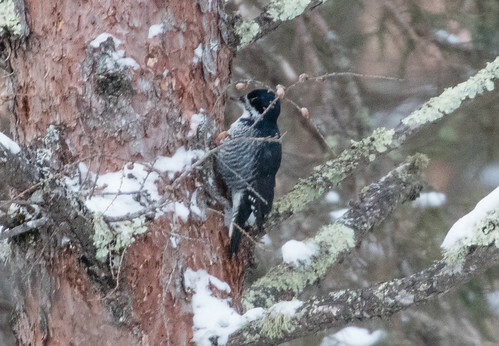 Our first bird of the day, except a distant raven, was a Black-backed Woodpecker along Lake Nichols Road. 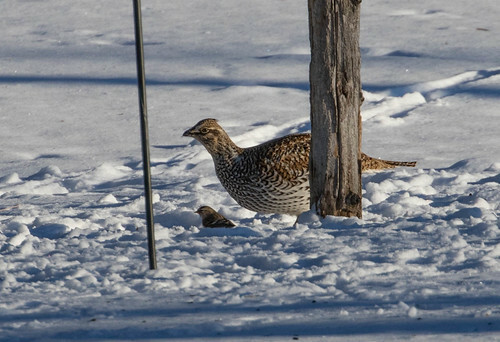 We also quickly came upon several Sharp-tailed Grouse visiting a bird feeder. One was spending a lot of time near a tiny redpoll. 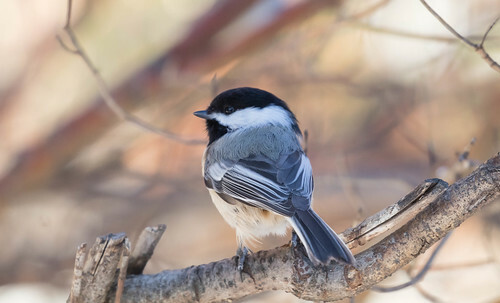 At the Friends of Sax Zim Welcome Center, I got some wonderful chickadee photos. 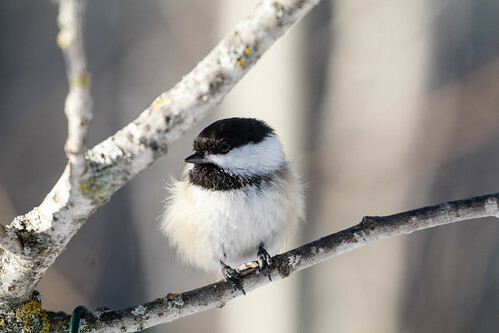 We all enjoyed all the redpolls and Gray Jays, and then went indoors to warm up and say hello to old friends. 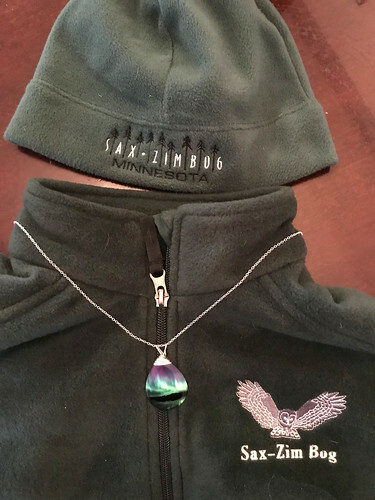 I bought a lovely green fleece vest and hat, and an amazing handcrafted necklace featuring one of Heidi Pinkerton’s exquisite photos of the northern lights—a beautiful way to make at least a small contribution to the Friends of Sax Zim. 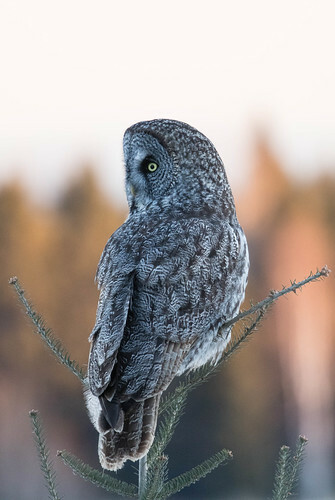 ... especially the last Great Gray Owl we saw as the sun was turning golden not long before sunset. 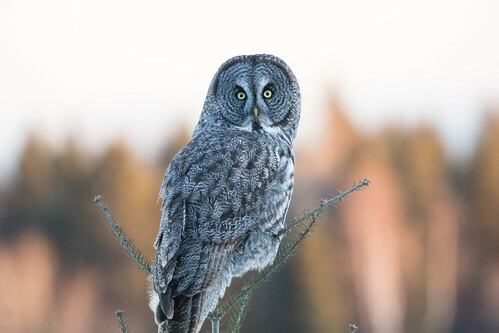 We ended the day with 30 species; Tom and Steve got their best photo ops of their trip of a snoozing Boreal Owl and hunting Great Gray Owls and a couple of lifers as well. Today, Steve and Tom went out on their own, heading north of Two Harbors on the way toward Isabella, and then at a few spots along and not far from the North Shore. 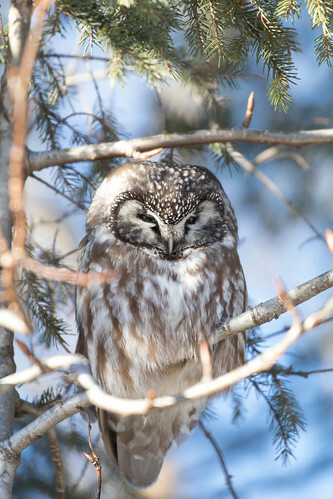 They got wonderful looks at four Spruce Grouse, a flock of Red Crossbills, and a flock of Bohemian Waxwings. They were texting and calling Erik to keep us apprised of their progress, and I was as thrilled by the new species they added as if we were old friends. 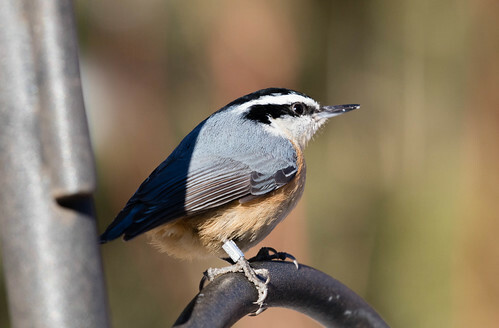 I always say birding is like a box of chocolates—you never know what you’re going to get, but it’s certain to be sweet. And like the finest chocolates, birding somehow tastes even better when that sweetness is shared with good friends. Thank you for sharing this heartwarming personal story; as I too agree that close birding buddies improve the overall experience.